I don’t know about you but I’m always on the lookout for new recipes to try on my family. I’m not sure they enjoy it but whatev, I’m the cook in the house. Mostly. Unless my husband decides to take over. Which has been a lot lately. It seems my cooking experiments are undervalued and not so appreciated. 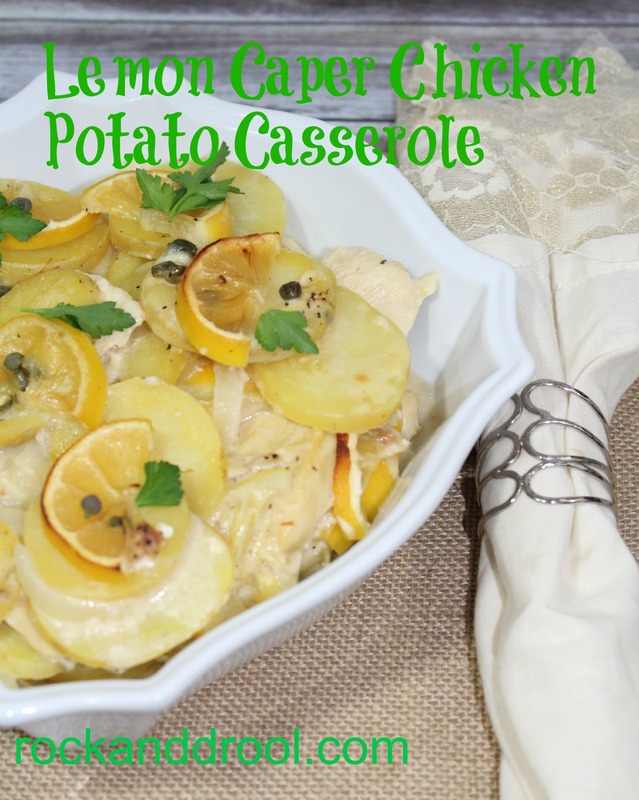 Well, I figure this Lemon Caper Chicken Potato Casserole will be one they will ask for again and again. 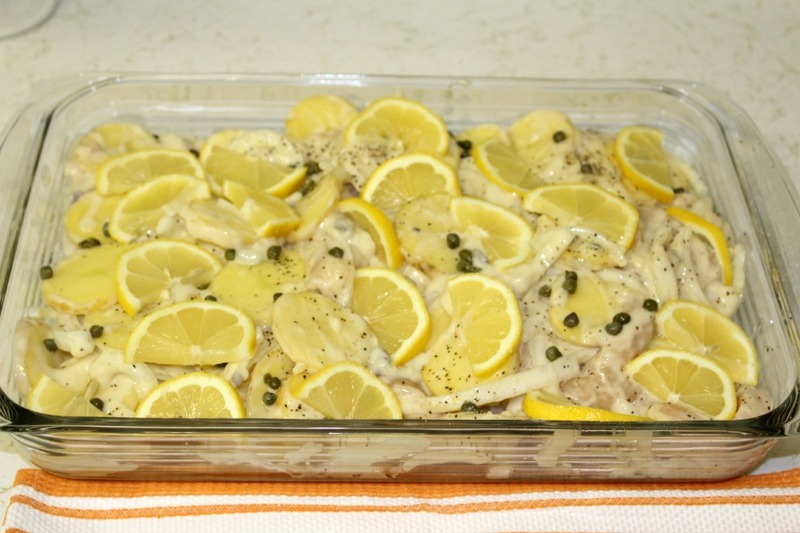 Who doesn’t love lemon, capers, chicken and potatoes all in one dish? I mean..yum, right? Add condensed soup and milk to a saucepan and whisk to combine. Heat over medium-high heat until simmering, stirring frequently. When it reaches a simmer, remove from heat and set aside. In a separate mixing bowl, add potatoes, onion, garlic, and chicken. 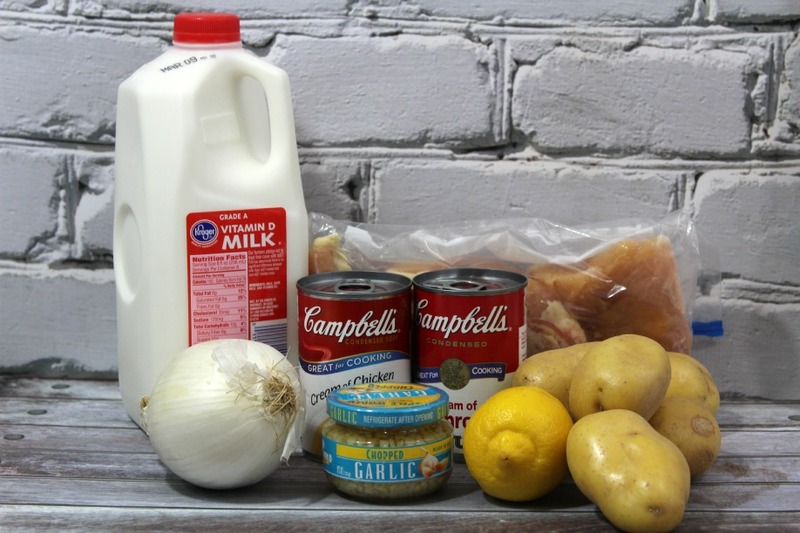 Pour in the condensed soup mixture, along with a generous pinch of salt and pepper, and gently toss to combine until the potato and chicken mixture is evenly coated. Now pour the mixture into a 9 x 13 baking dish. Layer lemon slices into the mixture randomly. I also squeeze a wee bit of lemon juice on top. Sprinkle top of mixture with Capers. Then cover the top of the pan with aluminum foil. Bake for 1 hour or until the potatoes are tender. Carefully remove the foil, and change oven to the high “broil” setting. Broil the casserole for an extra 2-3 minutes to crisp up the top, watching very carefully so that it does not burn. Remove pan from oven and serve warm. ENJOY! Oh, this looks wonderful! I am a sucker for recipes that call for potatoes. Thanks for sharing at yumgoggle! I’m so doing this recipe. Can’t wait to see how it will turn out.